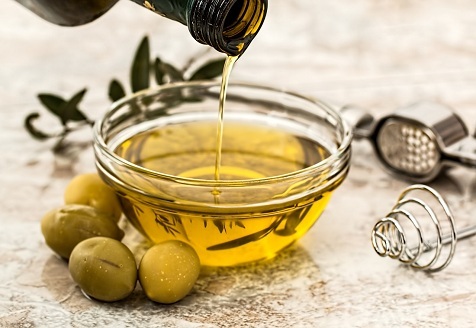 Olive oil has been the cornerstone of the Mediterranean diet for over 4,000 years, where it has been a nutritional staple for some of the healthiest and longest-living cultures in the world. The health benefits of olive oil are unrivaled, and research reveals more benefits nearly every day. Definitive new studies show that olive oil cuts the risk of developing diabetes in half, and also reduces the risk of cardiovascular death. Numerous studies also show that the oleocanthal and other powerful anti-oxidants in extra-virgin olive oil (EVOO) may help to shield against the cognitive decline that comes with the aging process, and reduces the risk of Alzheimer’s disease. Other studies show that a diet rich in EVOO actually slows down aging of the heart. So, your mission is to find and use an EVOO that is high in antioxidants. However, the label won’t tell you the antioxidant level; you have to figure that out for yourself. Take a half-teaspoon of olive oil and swallow it without any other food or liquid. A few seconds after swallowing it you should sense a peppery burning or stinging at the far back of your throat. The level of antioxidants is directly proportional to the intensity of throat burning. No burn means no antioxidants. An intense black pepper-like sting signals very high antioxidant levels. Sometimes olive oils with very high levels might even make you cough once or twice; similar to how an aspirin chewed and swallowed can temporarily irritate the back of your throat and make you cough a couple of times. To train your palate, you can go to an olive oil store such as the Tasteful Olive in old Overland Park, or Heavenly Olive Oils in North Kansas City and Lee’s Summit, or the Olive Tree in Olathe. Ask to taste the olive oil highest in antioxidants and a few others across the spectrum of antioxidant content. You won’t find it difficult to appreciate the difference. Once you learn to recognize a high-antioxidant EVOO, you might be able to find one at a reasonable price even in your supermarket. My friend Dr. Emilio Ros and his colleagues from Barcelona Spain have performed breakthrough studies indicating that a Mediterranean diet high in vegetables and fish, when supplemented with EVOO or nuts, is effective at reducing the risk of heart disease and stroke. High-antioxidant EVOO is also great for lowering blood pressure and cholesterol. Studies also show that EVOO may be helpful for preventing or improving arthritis, osteoporosis and obesity. In our household we use up about one liter of EVOO each week. We make a salad of leafy greens for dinner every evening, and dress it liberally with EVOO and vinegar. We also pour EVOO on steamed vegetables, fish and use it for dipping sourdough bread. I make a point of giving every bottle the taste test to be sure it is high in antioxidants.